This Pikey Peak Trekking also called Pikey Peak Dudhkunda trek which offers the most effective opportunity to explore the renowned Mt. 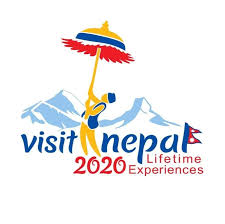 Everest Base Camp Trekking faraway from the regular trekker’s crowds which is explored by numerable trekkers having a gorgeous and spirited cultural path to Pikey peak. The Pikey Peak Trekking offers the broad vantage in seeing the Mt. Everest and Dudhkunda, situated at the bottom of gorgeous Mt. Number. ThePikey Peak Trekking route passes through terraced hillsides and alpine forest to the windswept open ridges of Pike peak (4065m). From here the perspective is incredible together with the seven 8000-meter peaks such as Mt. Everest, Kanchenjunga, Makalu, Lhotse, Manaslu, Annapurna and Shishapangma in Tibet along with alternative Himalayan peaks like Gauri Shanker, Lhotse Shar, Nuptse, Ama Dablam, Number, Khatang, Shishapangma, Mera, Thamserku etc all over the horizon. 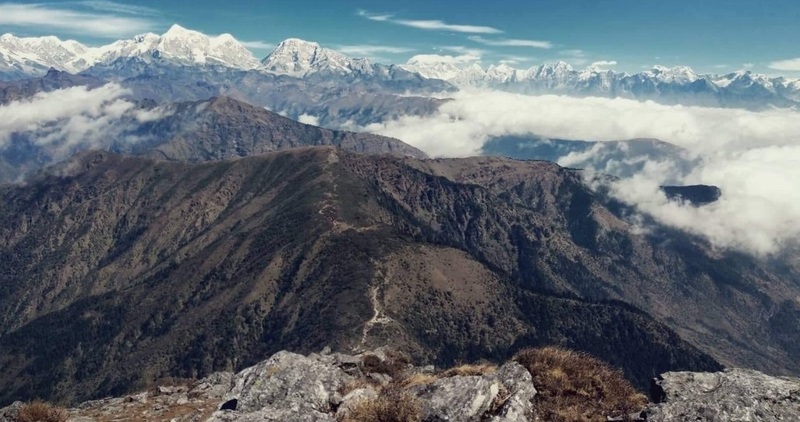 The view higher than the timberline onto craggy high ridges to over 4000 meters on the way to Dudhkunda is just breathless with Unrestricted views of Mera Peak, Thamserku, Makalu. We tend to explore the native monasteries and Shengeephuk cave as we trek more up to the sacred lake of Dudhkunda (4560m) within the lap of Mt. Numbur and Karyolung. Where tumbling ice falls suspend precariously above the holy mountain lake blue calm water. 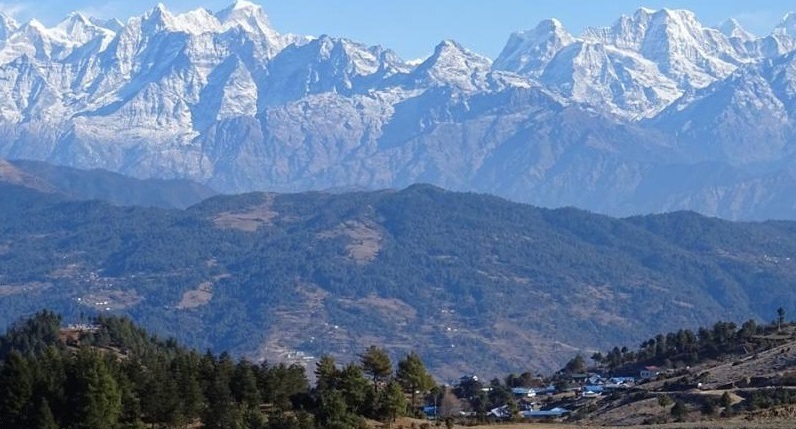 We tend to trek down via Trakshindo monastery to Phaphlu to require breathtaking drive back to Kathmandu to finish our trip to Sherpa Everest Pikey Peak Dudhkunda trek or Pikey Peak Trekking. 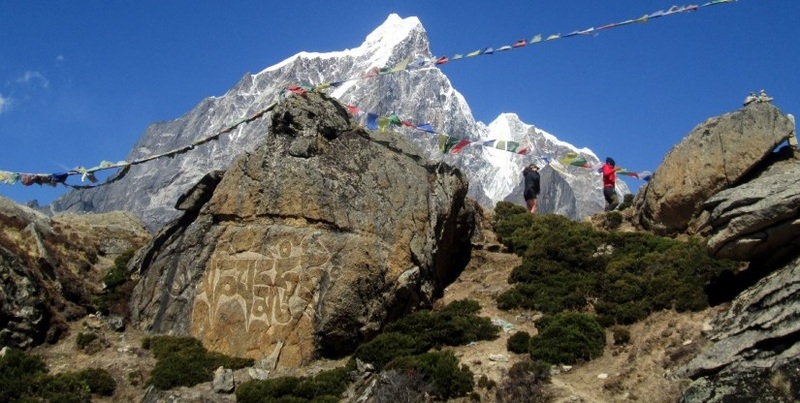 Everest Region offers many other trips in an alternative of this trek for an instance Everest Gokyo Lake Trekking is quite famous in this area. We will leave Katmandu to Dhap Bazaar which follows the Sunkoshi river which joins Tama Koshi river more ahead on our drive forming an oversized Koshi river until reaching Ghurmi. We are going to fancy typical Nepali food and continue our drive along the dense rhododendron forests. We’ll pass various settlement areas before reaching Dhap Bazaar which can take just about take 3 hours to succeed in. We are going to explore the local bazaar and observe the lifestyle of the inhibiting individuals after along a dirt road leading us to Sigane. Again the path continues along the jolting roads to Jhapre which is legendary for exceptional vantage points to look at the mountains residing in the northern region of the country. We will clearly see the Mt. Everest (8848m) and also the Numbur Himal from here and that we will visit gompas and stupas within the village. Overnight at a lodge. We will get up in the early morning to look at the first golden rays of the sun falling on the bright side of snow-capped mountains. Relishing the view, we are going to continue our trek along a dust-covered road for some time and then begin walking uphill until reaching Bhulbule. From here, the path becomes steep and ascends through the rhododendron forests and tiny settlement areas of Lhamuje. The path beyond Lhamuje opens out to reveal a pasture wherever we are able to see grazing Yaks. We are going to cross an extended Mani wall and climb on the winding road to Pikey Base Camp. We’ll visit the Yak Cheese industrial plant and might enjoy the glorious views of the majestic mountains close the valley. The path goes mostly uphill stone stairs. After we go additional high we have wider views. Pikey Peak provides a fantastic view of mountain chain range as well as Mt. Mt. Everest and Mt. Makalu with the great landscapes wetness valley. Several yaks across the front of you and through the milk season some time you’ll be able to take a look at fresh yak milk, dairy product, and cheese. After continue 3 hours hiking through the picturesque landscape and rhododendron forest we tend to reach Jase Bhangyang and stop the night at guest house. Relish the view of Numbur Himal in the morning. Later in a very day, proceed a side trip hike tothupten Chholing Gompa. The path ascends following the Junbesi river. The walk is a chance to explore pristine Sherpaland and provides dipper insight into the region. Traksindo La is one amongst the main passes which will lead you towards the Dudhkoshi valley. From the pass, you have got a spectacular view of the Traksindo Gompa and also the path ahead. With few tea houses and broken stupa, it still could be an affordable place to stop and refill your teacup. Prior to the settlement, you’ll bump into a kaani and after the kaani, your journey starts to descend towards the village of Traksindo. Taksindu village is the last village to have regular public road transportation. They have regular jeeps getting to Salleri and Phaplu from here. Besides this luxury, they also have a huge monastery. We leave the main trekking route once more and take a pretty path right down to Phaplu through the forest where we even can get the possibility of hiking up to Chiwong Gompa, perched high on a formation overlooking the valley. After 4 hours mild walk we will climb gradual uphill for half-hour take us to our final destination Phaplu. Phaplu could be a small Sherpa village where we are able to see airfield. We are able to get pleasure from and relax the rest of the day. We’ll be saying goodbye to the chain of mountains and making the return journey to Katmandu. The route takes us out of the Solu Khumbu, across the mighty Sun Kosi river, with its origins hailing all the means from Tibet, hundreds of kilometers away and eventually back to the main route that takes us from the flatlands back to the Katmandu valley. Personal expenses such as shopping, bar bills, hot shower, telephone, laundry, titbits etc.